As I have given Indianapolis Then and Now slide presentations through the years, along with author Nelson Price and photographer Garry Chilluffo, this particular set of photographs has drawn the biggest response. We know that not every house can and should be saved. Cities grow and property needs change. Structural condition and limited finances prevent restoration. 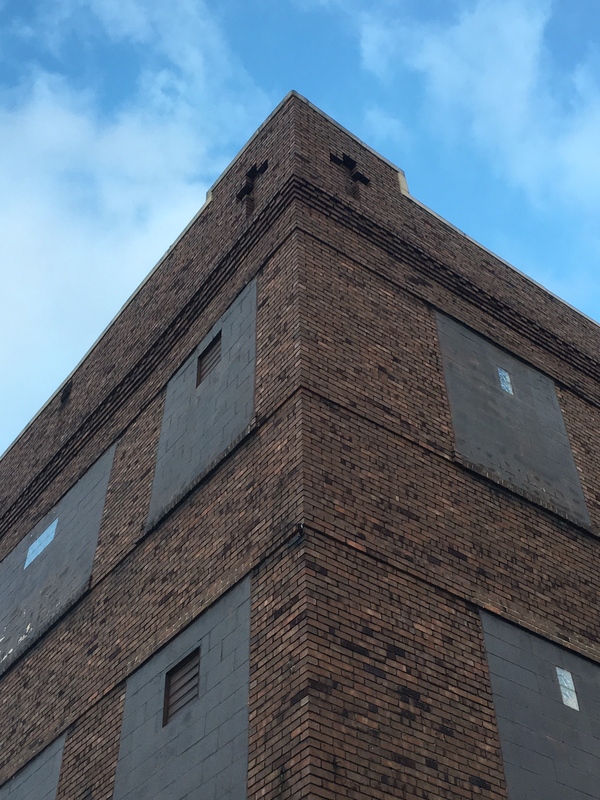 Sadly, Victorian architecture went out of style. But the contrast of this beautifully wooded homestead to the current bland commercial building and underused concrete parking lot often elicits a collective groan from the audience as it is hard for many of us to understand how past generations let so many architectural gems meet the wrecking ball. 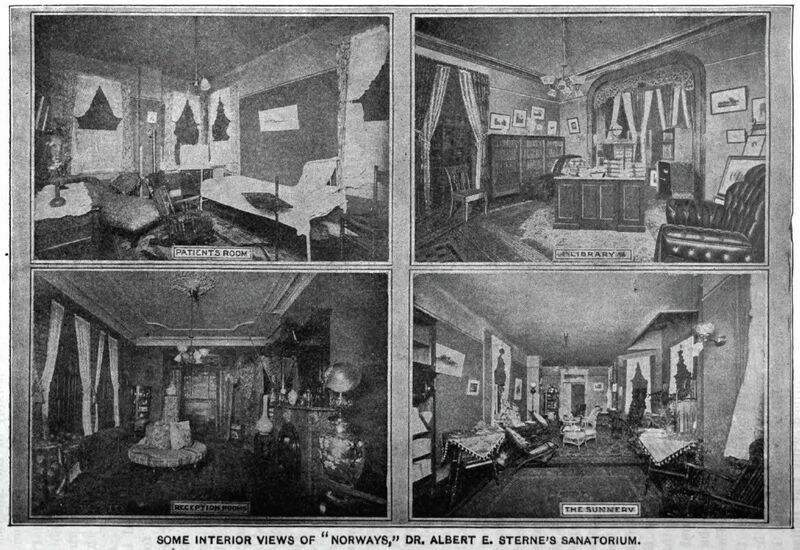 Neurologist Dr. Albert E. Sterne purchased Clifford Place and opened Norways, a private sanatorium, in 1898. It was a hospital for people with nervous and mental disorders at a time when mental illness was starting to be understood as a disease. 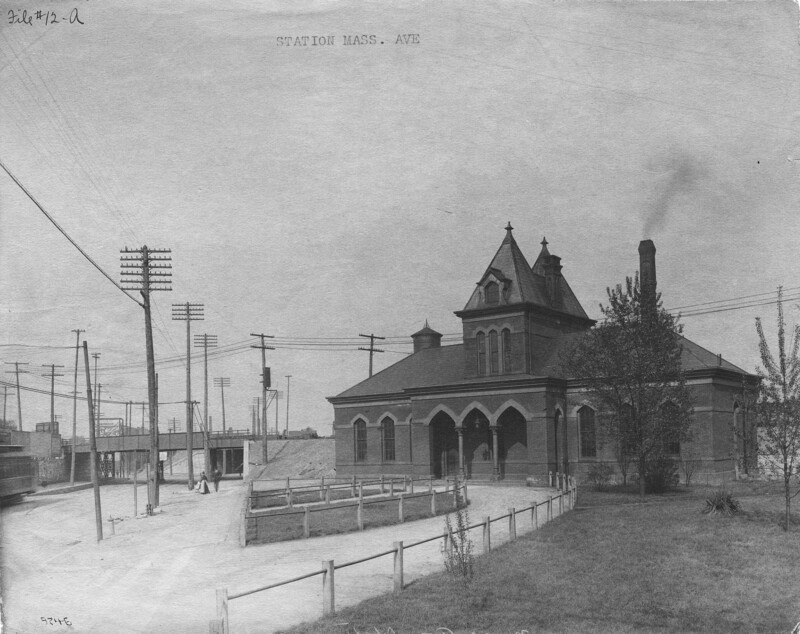 The facility attracted customers from across the country and, at an average price of $50 per week by 1918, this was an expensive stay. Advertising mentions that the sanatorium was for people who were “used to luxury.” Attendants treated all forms of “constitutional maladies,” (including rheumatism, diabetes, stomach and kidney troubles, paralysis, and drug addictions) particularly those cured by the use of electricity, baths, massage, diet, and rest. Norways was the first mental institution in the state to employ insulin, metrazol, and electric shock therapy. After Sterne’s death in 1931, Dr. Larue Carter served as the hospital’s chief consultant. Early advertisements promoted the hospital’s ideal location next to the fountains, flowers, and trees in Woodruff Place and a short walk to Pogue’s Run Parkway (now Spades Park) and Brookside Park. The large tract of natural forest trees in Technical Institute Park protected Norways from the dust and odor of the city. This postcard, made before 1907, shows the beautifully landscaped grounds on the four-acre facility. 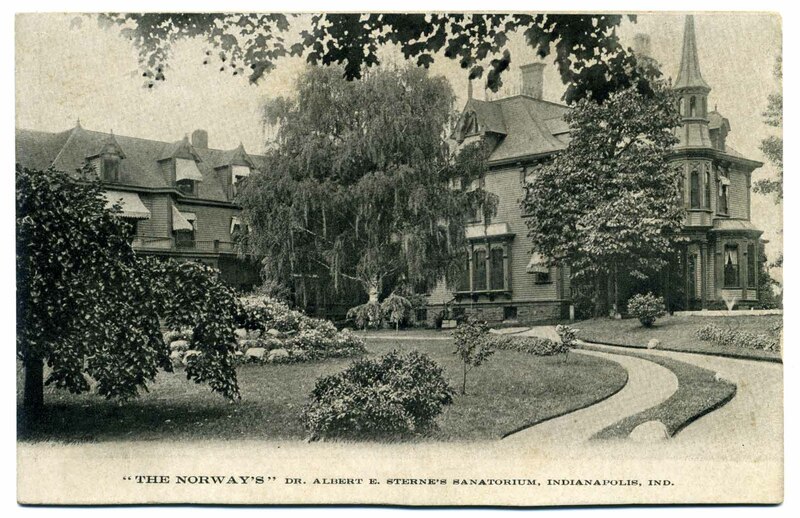 Although first named Sterne’s Sanatorium, Dr. Sterne changed the name to Norways due to his love for the many large Norway maple trees on the property. 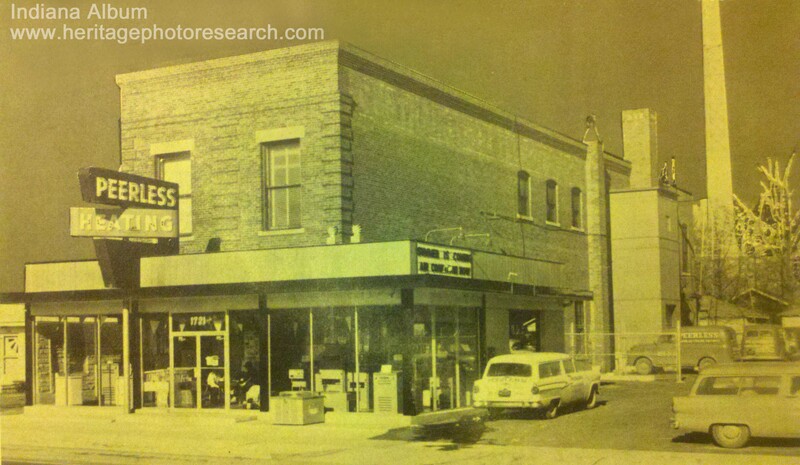 (From the collection of Heritage Photo & Research Services) See another ca. 1907 view at the Indiana Historical Society. 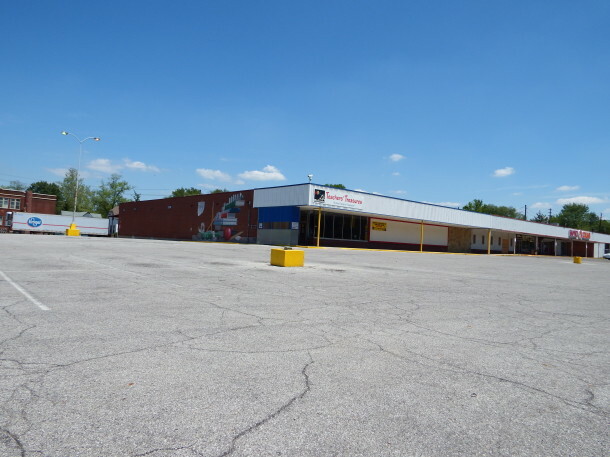 Question to Historic Indianapolis readers: Why did the avenue and homestead include the name Clifford? In my research I find no mention of the name Clifford in the Fletcher genealogy and no prominent Clifford family on the near eastside. An 1876 map shows a Clifford Park a little farther east, but not on Clifford Avenue. I’m stumped. An excellent history of Clifford Place, and though I have no data on it, the Windsor Park area must have been developed from the area of the old estate, and eventually Krogers built here. 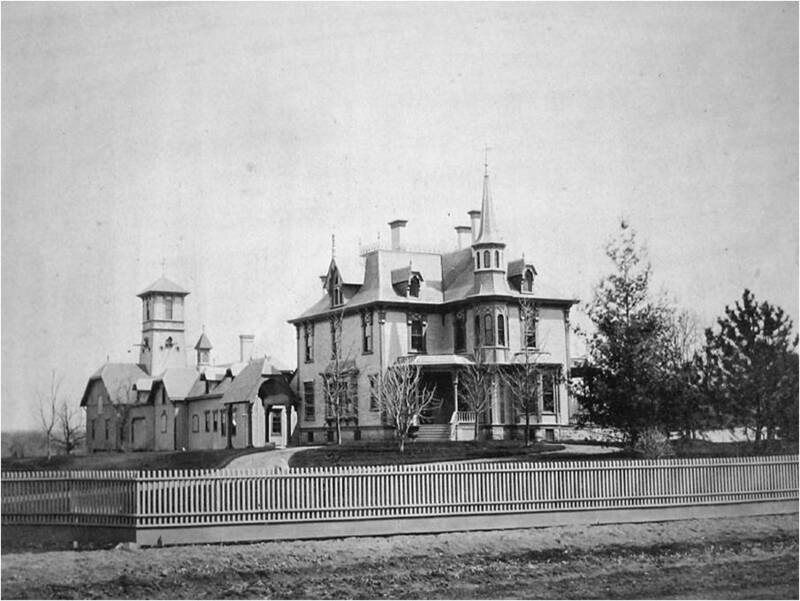 Stoughton Fletcher “Jr.” completed his grand residence, Clifford Place, in 1872. The first appearance of Clifford Avenue in a city directory was in 1873. It could be totally coincidental, but since the Fletchers owned so much of the land in the area, it certainly seems feasible that Fletcher could have had some input on the naming of the street. Stoughton died in 1895, and Clifford Avenue was renamed 10th Street in 1897. Again, it could be totally coincidental. 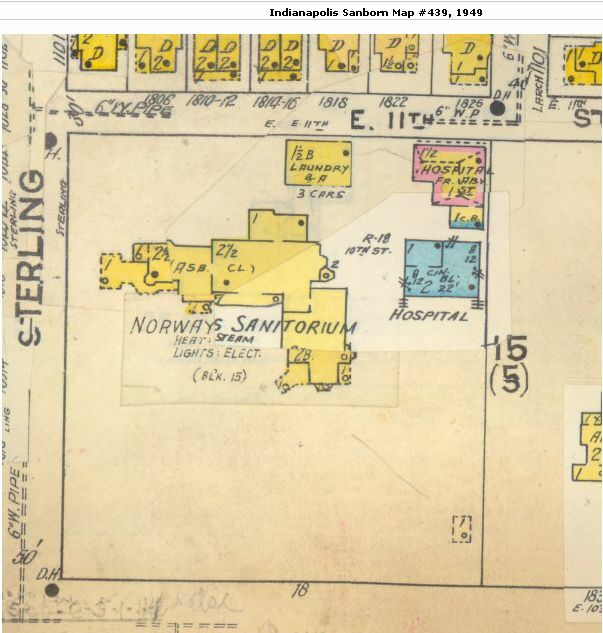 After Albert Sterne owned the property, and it became Norways Sanatorium, the name Clifford was gone from the street and the home. If Fletcher did play a role in naming the street Clifford Avenue, it would be interesting to know what the significance of that name was to him. Thank you, Sharon. I appreciate it. I also wish we could find the connection to “Clifford” in this case. I also remember seeing on old maps East 34th Street running eastward from Sutherland Avenue (at the former Nickel Plate RR Sutherland Avenue Yards) named Fall Creek Road (apparently prior to the Monon paralleling the Lake Erie and Western RR splitting at 34th) and then Howland Avenue after “Howland’s Crossing”, where the Monon and Lake Erie and Western RR (forerunner of the Nickel Plate purchasing this route). The Howland family must have owned or farmed significant property in this area. When Indianapolis went through its last or most recent street and address numbering change, Howland Avenue apparently became East 34th Street. I eventually learned who Clifford Avenue was named after and I’ve been meaning to update this article for years. The Fletcher family named many streets on Calvin’s old farm after women’s branches of the family, so it is no surprise that Clifford Avenue was named for the mother of Ruth Elizabeth (Barrows) Fletcher (Mrs. Stoughton A. Fletcher). 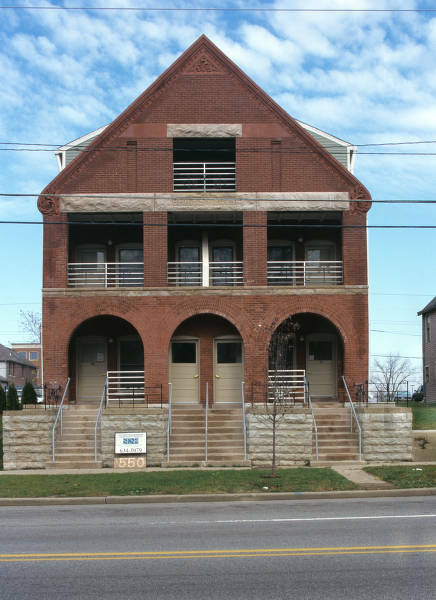 Mrs. Fletcher’s mother, Ann Marion (Clifford) Barrows (1807-1890) lived her whole life in Kennebec, Maine, but Clifford Avenue in Indianapolis was named in her family’s honor from the 1870s through about 1898.